Nokia has started rolling out the Amber software update to its Lumia smartphones, which will allow users to take better pictures and get new camera apps. The Finnish handset maker continues to put a lot of effort into improving camera functionality and picture quality on its Windows Phone-based Lumia smartphones. The Amber update brings improved algorithms for better noise reduction, color reproduction, exposure control and autofocus. On the 920, controls to adjust the ISO settings of the camera from 800 to 3200 allow even better low-light performance, Nokia said in a blog post on Thursday. After installing the update, users will also be able to get the Smart Camera app, which premiered on the 925. It includes features such as Best Shot, Action Shot and Change Faces. The latter allows users to create better group pictures by choosing the best from a series of images or removing unwanted objects. Action Shot lets users combine shots of people in movement into one image. The quality of images taken with the Smart Camera app will be affected by the performance of each phone. On the 720, 620 and 520, the burst mode used for some effects takes seven pictures rather than ten, for example. In addition to the Amber update, the Pro Camera app is available for the 920, 925, and 928, Nokia said. The app's user interface has a number of sliders that lets users control camera settings such as shutter speed, exposure value, ISO settings, white balance and the manual focus. The app is also available on the 1020. Amber isn't just about imaging; Nokia has also added a feature called Glance Screen, which adds a clock to the standby screen. It also adds indicators to show when the phone is running on a low battery or when the phone is charging or set to silent mode. The software won't be available on the 520 and 625, because those two smartphones have a smaller display memory, according to Nokia. Two features from older phones are also making an appearance in Amber: flipping the phone over to mute an incoming call and a double-tap on the screen to unlock the screen. 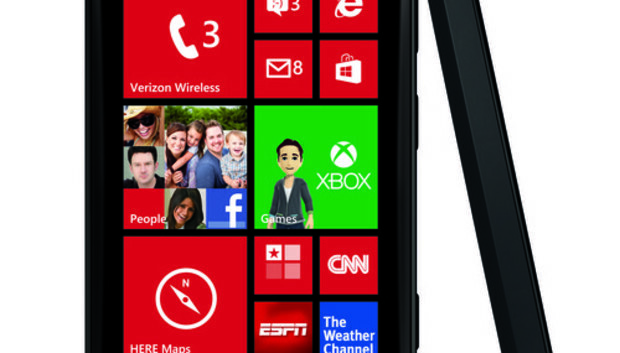 The Lumia 920 and 820 in selected countries as well as the 521, 810, and 928 in the U.S. will get the update first. Owners of the 520, 620 and 720 will have to wait a bit longer, but Nokia expects everyone will get Amber by end September.